Phil, in the late afternoon of June 5, 2011, it was clear that my mother would die soon. Her lungs had filled with liquid and it was getting harder and harder for her to breathe. We were in a small mountain village in Panama and despite our best efforts, we had been unable to get the liquid morphine that would have made her last hours more comfortable. It was living hell for my dad, my brother and I as we kept vigil. Hans, my brother, and I had done the typical teenager guitar thing of the 60’s and 70’s when we were growing up. Without even talking it through, all of a sudden we began to sing to my mother. We sang all the old Cat Stevens songs, and a bunch in Spanish, and we both wept singing Bridge Over Troubled Water to her. When we had run out of the ‘standards’ of our playbook from when we were teenagers, we found ourselves singing the lullabies that she had sung to us. It seemed to help a little bit in terms of her comfort. The end was still brutally hard–we fight so hard to stay alive. But at least I am grateful for one final way to tend to my mom. I pray she heard us, I pray it did help. 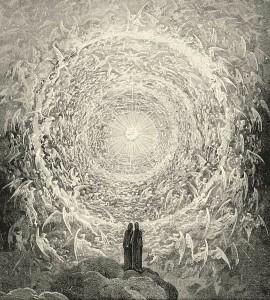 I hope that our voices blended with voices of angels and archangels and all the company of heaven who were there with her Creator to receive her into peace. I just finished skimming about Threshold Chorus – how fascinating – will read more when I get home. Thank you.